No Name Collective opens their 2018/19 season with Shakespeare’s Twelfth Night. Directed by Allison Benko featuring a live string band playing original Scottish Folk music. The show runs December 6th-9th at Alchemical Studios. Ticket link below. 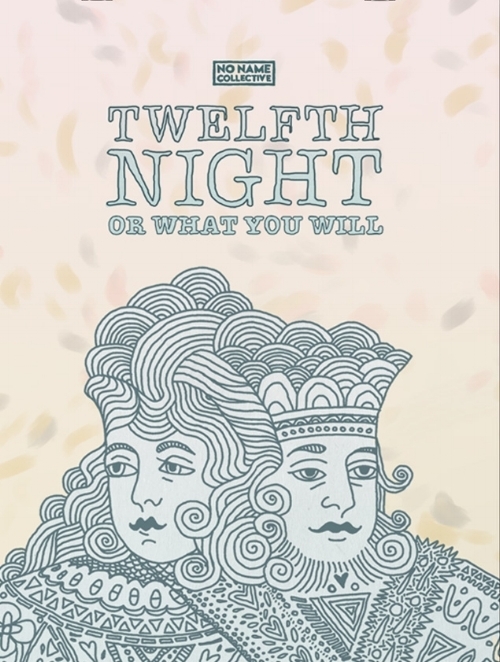 Twelfth Night is a comedy that tangles the delight of newfound love with the sorrow of perpetual loneliness. When shipwrecked heroine Viola enters Illyria, she unintentionally becomes a third point in a love triangle between the lovestruck Duke Orsino and the grief-sick Countess Olivia. Meanwhile, what begins as a harmless prank against the pompous steward Malvolio soon becomes a vehicle for tremendous malice. With original folk music, this production seeks to explore the transience of the human soul through a unique juxtaposition of comedy with cruelty. Given that romantic love is at the mercy of time, can music alleviate isolation, or can it merely underscore its effects? The cast features Benjamin Bailey (Antonio), Tessa Barlow-Ochshorn (Sir Toby Belch), Anthony Gabriele (Sir Andrew Aguecheek), Tallie Gabriel (Officer 1, Attendant, Sailor), Ian Garrity (Orsino), Ellie Gossage (Olivia), Marlena Holman (Fabian), Maggie Hood (Maria), Robert Leverett (Malvolio), Lukas Papenfusscline (Valentine, Priest, Sailor), Ed Rosini (Sebastian), Grace Oberhofer (Feste), and Lauren Slakter (Viola). The creative team includes original music composition by Adele McAllister, music arrangements by Tallie Gabriel, Colleen Litchfield and Jesse Turits, graphic design by Nicasio Andrade, costume design by Emily Bono, scenic and properties design by Jenn Aromando, lighting design by David Maria d’Olimpio, and stage management by Margo Gleberman and Melissa Arnaud. Twelfth Night is produced by Maggie Hood and Annaliese Kirby with Allison Houser as associate producer.